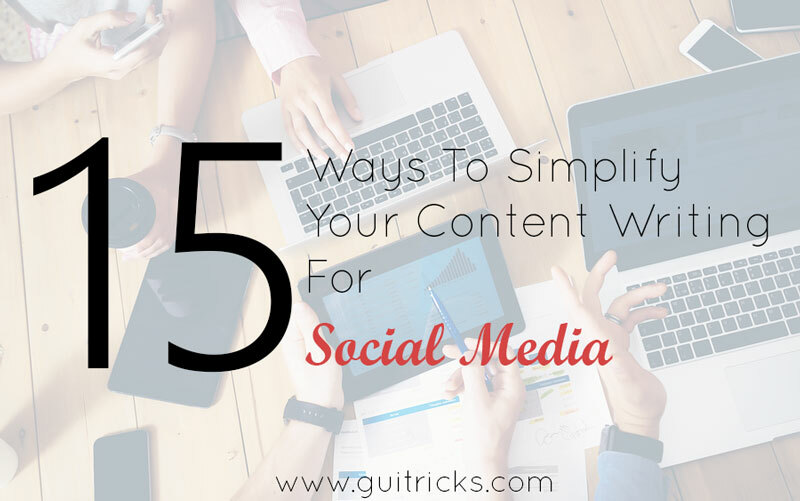 15 Ways To Simplify Your Content Writing For Social Media | GUI Tricks - In Touch With Tomorrow! 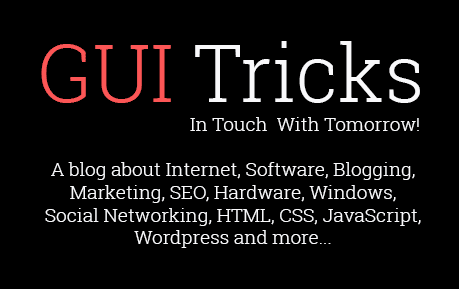 15 Ways To Simplify Your Content Writing For Social Media - GUI Tricks - In Touch With Tomorrow! Putting all your campaigns to social media is the most effective marketing strategy for your company or brand. Different social media platforms can be utilized to effectively advertise your brand to an incredibly large number of people worldwide. However, since all companies are aware of this, it can be a struggle to compete with millions of different companies advertising their brands on social media. You might feel stuck in the brainstorming or conceptualization stage of your content marketing because you want to outsmart your competition with your posts to gain customers. 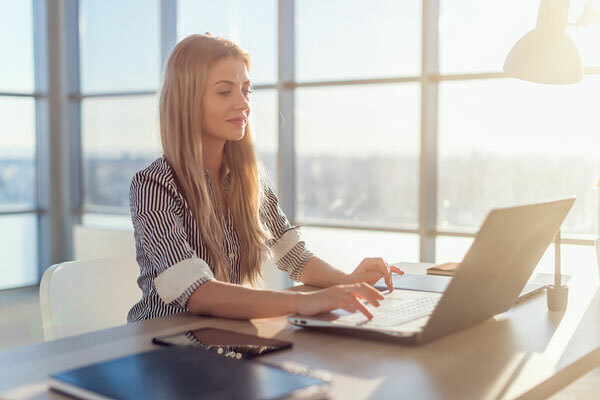 Here are some ways on how you can simplify and smarten up your social media content writing to keep your current customers engaged and potentially attract new ones. Trending topics usually set the tone of your contents. It is important that you are familiar with trending topics to get people to read your contents. Visual content such as memes with witty captions are the simple but great way to attract readers and followers. It is important that you are smart about what you post. When you have already established your brand and have a legitimate number of followers, you can start posting about new and unfamiliar things. You can share your items, promotions, and introduce new products and services. No one wants to read a negative post. Always try to be a positive influence on social media. Be funny but not derogatory. Be smart but do not sound too formal and technical. If you commit a mistake of posting something negative, it will backfire and it will be hard for your company to bounce back after that. If you continue to be a positive and happy brand, your customers and followers will be happy to stay with you. Always provide relevant and useful information that your readers and customers can relate to. Share information that can add value to the world in general. Just make sure your information is verified before you share them on social media. It is an essential part of your content marketing strategy. Social media networks provide an opportunity for you to connect with your followers and customers. Through social media, you can gauge how powerful your campaigns are in real time. You will discover what your customers want, need, and like. This can help you improve your products and services to suit your target market. Also, you will know which posts are effective. The date you gather will help you simplify your contents and posts in the future. The more you practice writing on social media, the better you will become at it. Each social media network caters to a specific type or people. Utilize this to your advantage. For example, younger people are using and sharing more on Snapchat and Instagram now more than they share on Facebook. People ages 25 and up love to use Pinterest for getting ideas. You can tailor your contents and posts based on which social media network you are using and the kind of audience you are targeting. Do not just stick to Facebook, Twitter, and Google+. Explore other social media networks and connect with a larger pool of people with similar interests. Do not get sidetracked by events, trending topics, and other information you get on the Internet just to stay relevant. Make sure that every time you share information, it also reflects what your company or brand believes in, your voice, and your culture. Post contents that make sense, not just for the sake of posting one because you want to gain more followers and customers. If your contents are always informative and helpful, sales will follow. Your readers can be turned into customers and they will stay loyal to you. Keep it simple but with a lot of sense. You should always encourage your followers to get involved by communicating with them. Ask them questions or create a survey. This is a great way to promote your products and services in the future by utilizing the data you collected from your followers. You won’t have to curate long contents in the future because you already know what your customers or followers want to see or read. You should always keep your communication lines open. You should be able to provide good customer service by answering your followers’ questions or if they have complaints. This helps build a strong relationship that can benefit you for years. People are smarter nowadays. They can sense genuine, forced, and fake contents. This can cause the fall of any businesses. Make sure you post genuine contents to avoid turning off followers and customers. Get employees or writers to post contents with the voice that they are good at. For example, if you want to sound sarcastically funny but do not have the talent to post contents in such voice, hire someone naturally sarcastic and funny that can do the job. This will make your posts sound genuine. Your contents should be simple, informative, and easy to read. Millennials and younger crowds have short attention span. One technique that is strategically used by most marketers is by using memes or images inserted into an article to keep the readers engaged. When you talk in a conversational tone, it would sound like you are talking with a friend. You can still keep it professional but not too professional that it sounds like you are speaking with your clients on social media. This helps develop and foster a good relationship with your followers. Treating your followers or customers as friends by talking in a conversational and light tone, your business will gain more clicks and interactions from your followers. This is especially helpful if you have video contents. Keep the consistency of your contents. This means that the voice used should the same in all your social media platforms. Your customers will feel that they are talking with the same person rather than multiple people. As mentioned, different social media networks cater to different types of people. Create a social media team that will be responsible for keeping each social media platform consistent, relevant, and informative. This is especially helpful if you do not have an idea of what sells to a certain age group. If you want to understand and effectively connect with millennials on social media, perhaps hiring or assigning a millennial to curate posts or create contents for that specific age group is wise. Make sure that each member understands the type of people they are trying to reach out to. Make sure they are aware of what vice to use and what information to share. Follow these tips in keeping your contents and posts simple yet powerful. You do not need to be too overwhelmed by the amount of information available to you and get confused on what to share. If you do these tips properly, your social media marketing campaigns will be a tremendous success and you will gain followers that you can turn into customers. Malia Keirsey is a talented blogger and web designer. She has finished the University of Chicago with master’s degree in sociology. Now, you can find her articles written about marketing, writing, and self-development. Follow @MaliaKeirsey on Twitter.